This summer has brought much to be thankful for to Atlanta custom construction and renovating company – Highlight Homes – with even more promise just on the horizon. In every installment of Shades & Highlights, we often credit our inspiration to people, companies and products related to our industry. However, this month we take a look outside to the climate – both weather-related and economic, and to one of Atlanta’s most iconic neighborhoods. We also pay homage to the fine art of designing and building a home from the ground up. Sunshine: The 30-year average for rain fall in Atlanta during the month of June is less than 4 inches. This year, Atlantans saw more than 9.5 inches fall during June alone – spoiling countless pool days, parades, and picnics. Until just recently, July hasn’t proven much better. Highlight Homes would like to say “Thank You” to our clients for understanding that we have no control over the weather. One of the benefits of working closely with a company like ours is that when Mother Nature has other plans on the days when we are scheduled to be working outdoors, we can adjust our construction schedule to tackle indoor renovation projects until the sun shines once more. Low Interest Rates: We love the fact that interest rates have been at historically low levels for some time now. Not only are they favorable for buyers of our custom construction homes, low interest rates also benefit our clients who finance their home renovation projects. Rumor has it that as the housing industry continues to recover and home prices begin to rise, interest rates will follow suit. Now may be the best time to lock in a low interest rate and tackle that home improvement project you’ve been considering. Custom Homebuilding: After six long years away from one of our favorite segments of the business, Highlight Homes is delighted to be building again. While we have truly enjoyed focusing on the renovation side of our company – and will continue to do so – nothing beats the feeling of designing a home and building it from the ground up. We so enjoy working closely with our homebuyers to add those unique touches that make it all their own. We have several more custom home construction projects lined up over the coming months – so stay tuned to our Pinterest and Facebook pages for photos and updates! Buckhead Area of Atlanta: As one of the city’s most iconic neighborhoods, Buckhead is a major draw for discerning homebuyers. It’s proximity to Downtown Atlanta provides ease of commute, as well as convenience to some of the city’s finest shopping and dining establishments. A blend of both old and new money, Buckhead encompasses tree-lined streets that are graced with historic manors, sprawling Tudor estates, and charming bungalows. The site that many Atlanta fashion trends stem from, Buckhead is also home to a growing housing trend – tear it down and rebuild. 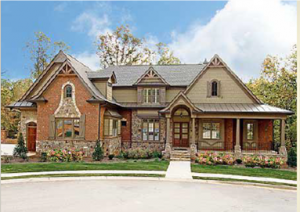 Highlight Homes’ latest project involves the tear-down of an outdated ranch home, which will soon be replaced with a sprawling 5 bedroom, 4.5 bathroom, 3-car garage estate – complete with gourmet kitchen, Master-on-Main, coffered ceilings, covered porches, brick-and-stone exterior, and so much more! Whether desiring the custom construction of the home of your dreams or wishing to transform your home to a dream home through a thoughtfully designed and expertly executed home renovation, the talented design-build team at Highlight Homes welcomes your call! We can be reached by phone at 678-873-9234, by e-mail at info@highlighthomesga.com, or by filling out our convenient online contact form. 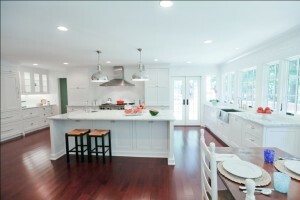 To learn more about Highlight Homes and the services we provide throughout Metro Atlanta, please visit us at www.highlighthomesga.com. The kitchen during the holidays is the one room in the house that is often best put to use. In addition to being command central for meal preparation, it is also a gathering place where friends and family members share (and make) memories. 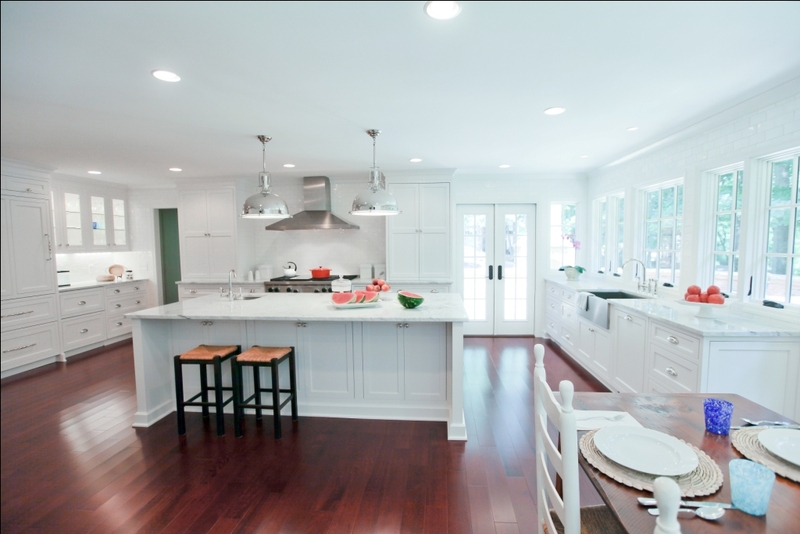 Don’t accept the fact that your kitchen is outdated or cramped – you’ll be amazed by the transformation that could take place right under your own roof with regard to style and space. 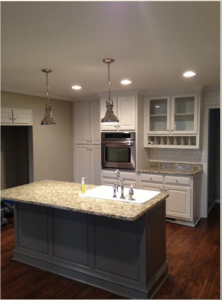 Highlight Homes specializes in structural engineering and we aren’t afraid to swing a sledgehammer to knock out that wall that takes your galley kitchen to an entirely new dimension with plenty of room for everyone! Take a moment and spend some time in your guest bathroom. What is the impression you derive from that room. Is it a place you just can’t wait to run from or is it welcoming and relaxing. If you answered with the latter, you’re all set – but if your answer was someplace between the latter and making a run for it, you may want to talk with one of our designers about options. Highlight Homes can turn even the ugliest bathroom into a spa-like experience. The only drawback – your houseguests may never want to leave. When you have a house full of guests – particularly those that range in age from toddlers and teens on up to adults – you may want to have a number of options for people to go and feel entertained. Convert a rarely used room, loft or basement into a sprawling entertainment zone for movie watching parties, sports viewing, and video game tournaments. Highlight Homes can help you design and build the ideal space to fit your family’s needs and unique personality. 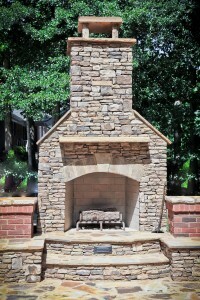 Living in Georgia means that – even in the month of December – we sometimes have those wonderfully mild evenings, perfect for gathering around a fire under the stars. This is a particularly popular option for homeowners who don’t own a sprawling estate and wish to have guests feel comfortable both indoors and out. We can help you create a very special exterior living space – complete with seating and landscaping – where guests can gather and spin tales while young ones roast marshmallows for s ‘mores. You may have learned from previous holidays that your home is a little limited with regard to space. 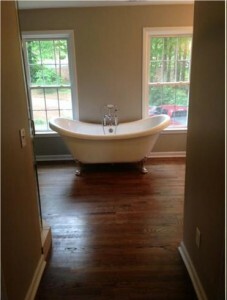 If you don’t have a basement to finish, a room addition may be a viable option. Our design/build team is happy to listen to your needs and challenges before developing a plan to grow your living space in a way that you’ll never know how you lived without it. From a stunning sunroom filled with windows for star-gazing to a spacious formal dining room that opens to a deck overlooking the backyard, Highlight Homes can help you find the ideal space solution. Are you as excited as we are to bring these exciting changes to your home? We hope so! But… HURRY! Our availability calendar is filling up quickly and we want to be able to accommodate your renovation needs before the holidays are upon us. To schedule a no-obligation consultation, call us at 678-873-9234, e-mail us at info@highlighthomesga.com, or fill out our helpful online contact form TODAY! We can’t wait to hear what you and your family are cooking up for the holidays. 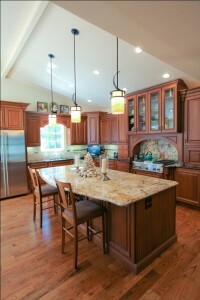 Don’t Forget to “Like” Highlight Homes on Facebook!